UK manufacturing output rose by 0.8% following a drop of 0.7% in December. The number of employed women rose by 144,000 to a record high of 15.40 million – the largest increase since February-to-April 2014. 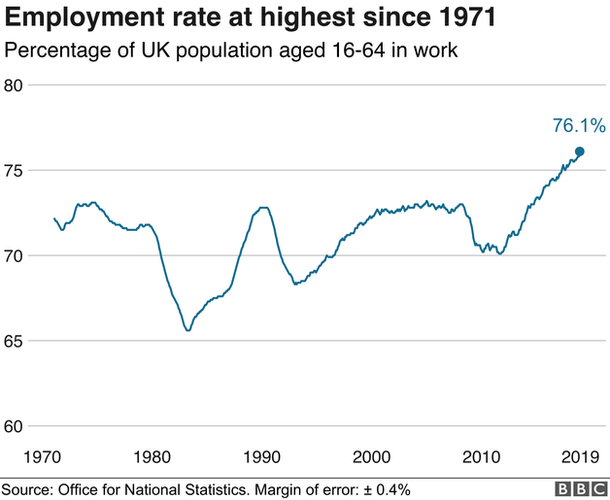 The UK’s highest regional employment rate was in the south-west of England (79.9%), while the largest estimated increase in workforce jobs was in the south-east of England (59,000). The ONS figures also reveal a record number of 1.67 million people working for the NHS in December – 32,000 more than a year earlier. 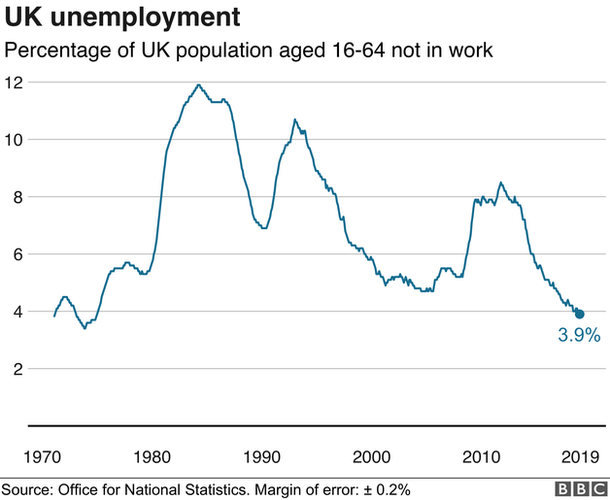 Men’s unemployment then stood at 7.4% and women’s at 6.9%. If you were being uncharitable to politicians, you might say today’s jobs figures demonstrate how little they matter. “Crisis, what crisis?” said recruiters as they hired 220,000 people in the three months to the end of January. Recruiting people takes time; it can be months between noticing you need some new staff and their starting work, so the recruitment decisions reflect recruiters’ sentiments months ago. In uncertain times, a company whose order book is expanding may prefer to take on people who can be “let go” later if things go wrong. That can be less costly than investing large sums in new plant and machinery, for example – investment which might prove wasted if demand for your goods shudders to a halt in a few months’ time. And although there are more of us working, notably women and older people joining the workforce, the amount we each produce is barely growing. 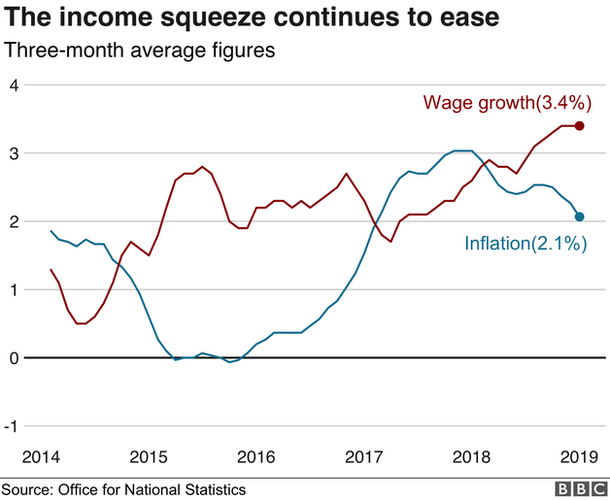 That puts a question mark over the sustainability of real wage growth of 1.4% – the strongest in more than two years. It appears that Brexit is not stopping firms hiring staff – at least, not yet. Tej Parikh, senior economist at the Institute of Directors, said: “Businesses have been steadfast in bringing on board new staff and in creating vacancies, despite question marks over the future path of the economy. Next article5G, Scandal or secure?